Have wheel, easy moving while spraying. 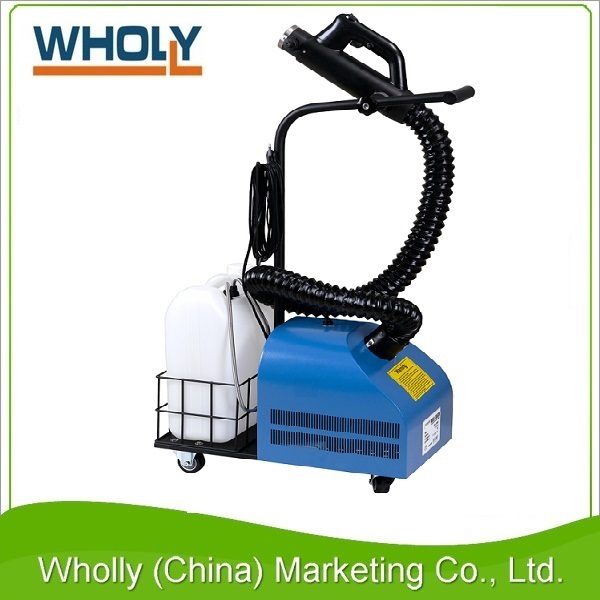 Dispensing water or oil-based chemical formulations, used in hospitals, schools, homes, hotels, resorts, greenhouses, food processing plants, warehouses, dairy and poultry farms, animal care facilities and disease control programs, etc. 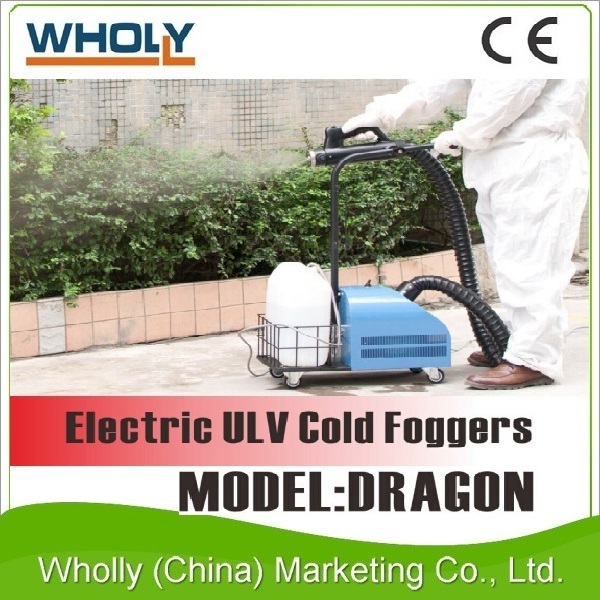 The Ultra Low Volume ULV cold fogger produce the high speed airflow by high speed motor, to press the chemicals solutions to nozzle. Because of the high speed airflow and the special designed structural nozzle, the chemicals solution is break into extremely small fog droplet, the fog droplet's diameter is under 20 micrns. 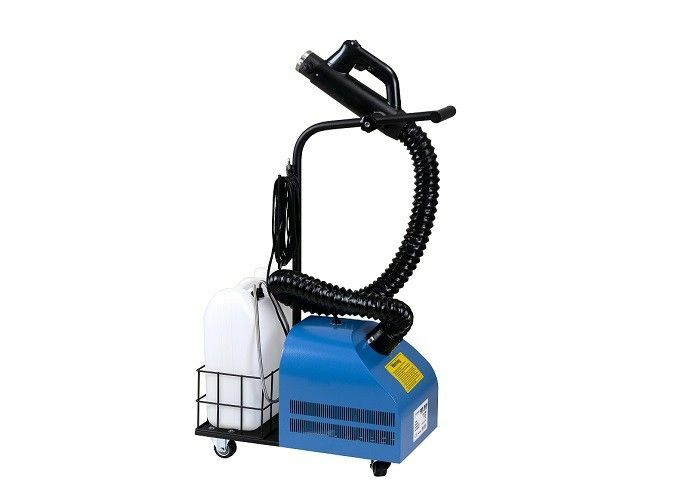 The fog droplet could float over in the air for a very long time, so the machine can kill all insect pests and disinfect the air with a continuous effect.